The notable Jaguar XJ220 celebrated its 25 year milestone since customer sales began in June 1992 this year. 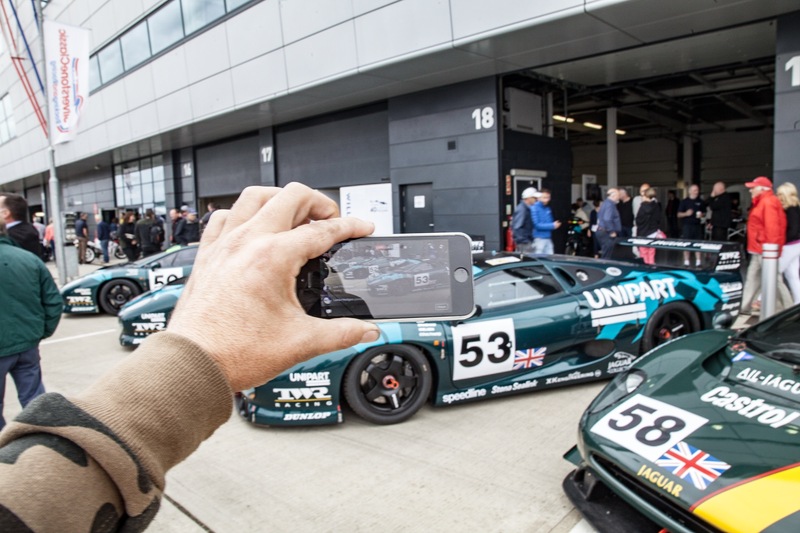 Exhilarating festivities at Silverstone Classic were the cornerstone of the Silver anniversary celebrations. 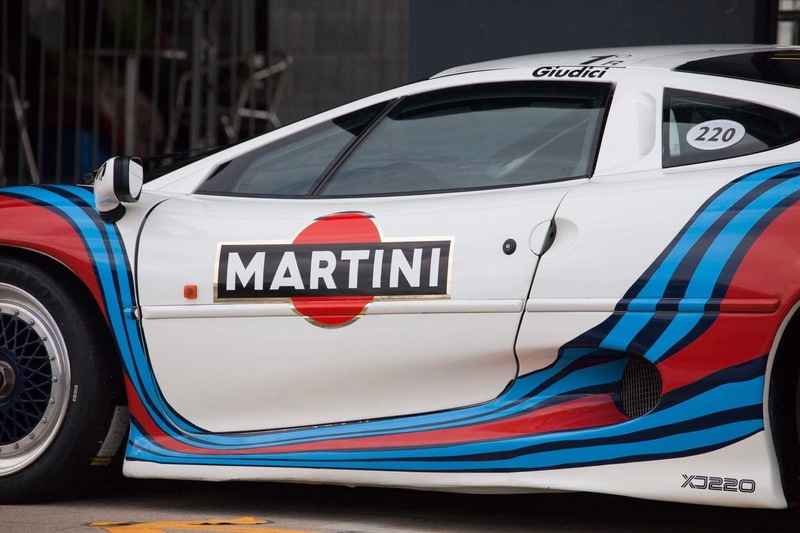 The XJ220 was certainly a stretch of the imagination as it was the classic motoring company’s first foray into the world of production supercars. It would be a stretch to find anything comparable in Jaguars history with the XK120 being the closest in boundary-pushing design and threshold smashing performance whilst maintaining eloquent production ability. This 2 seater supercar produced by luxury car marque and British institution Jaguar was the culmination of collaborative efforts from Jaguar Sport and Tom Walkinshaw Racing. 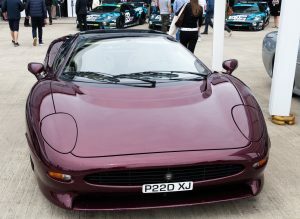 This joint venture resulted in a glorious new factory, dedicated to the XJ220 model being opened in Bloxham, Oxfordshire by The Princess of Wales. 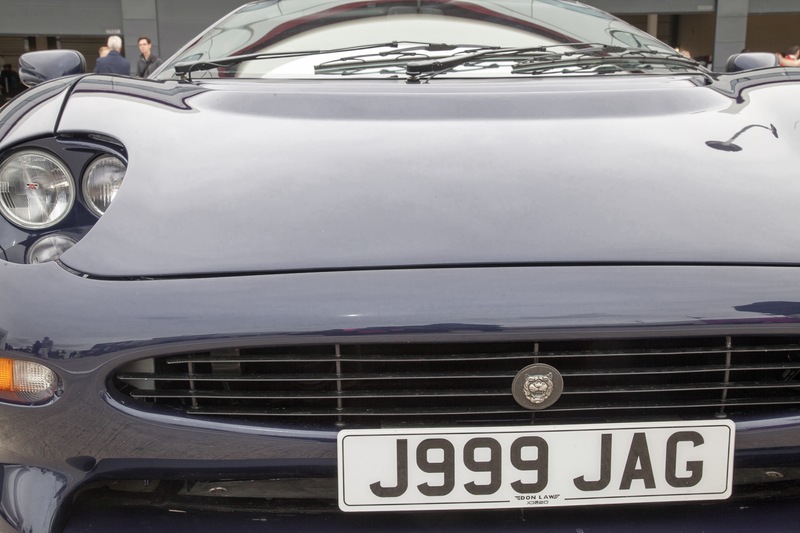 The 3.5-litre, twin-turbocharged, V6 mid-engine and dramatically styled supercar was not only Jaguar’s fastest ever production car at the time of manufacture but it still holds that accolade today. At the time it was also the fastest production car on Earth having officially clocked a top speed of 212.3 mph during testing, which at the time could not be beaten. 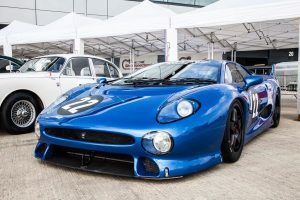 According to reports from Jaguar, the prototype for the XJ220 completed the Nurburgring lap with a time of 1:46:36 in 1991, at the time there had not been a lower recorded lap time. Over two years of production there were 271 of these curvaceous beauties, at a cost of £470,000 each, ardently created at their Bloxham home. British International Motor Show held in Birmingham, UK, in 1988 and although deliveries were not expected until as late as 1992 they still managed to take in an impressive number of £50,000 in deposits, in fact it is recorded that the reception went down so well that pre-orders reached over 1500. To honour this momentous occasion the owner-drivers were given the opportunity to take their cars out on the track for the parade alongside notable figures such as Tiff Needell who also raced an XJ220 at Le Mans in 95 and renowned specialist, Don Law, the curator of this magnificent gathering, who had worked closely with Silverstone to mastermind this record-breaking gathering. 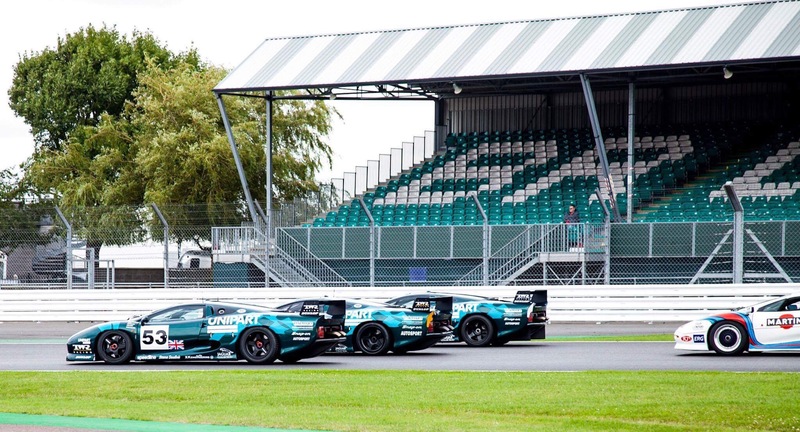 The parade was led by the three 1993 Le Mans cars, resplendent in their original livery, in an arrow formation with David Brabham being one of the drivers. Brabham was, of course, driving number 50, the car he claimed GT class victory in at Le Mans (before being unfairly disqualified), alongside him was Walkinshaw’s widow Elizabeth, the car having been kindly loaned by owners JD Classics. 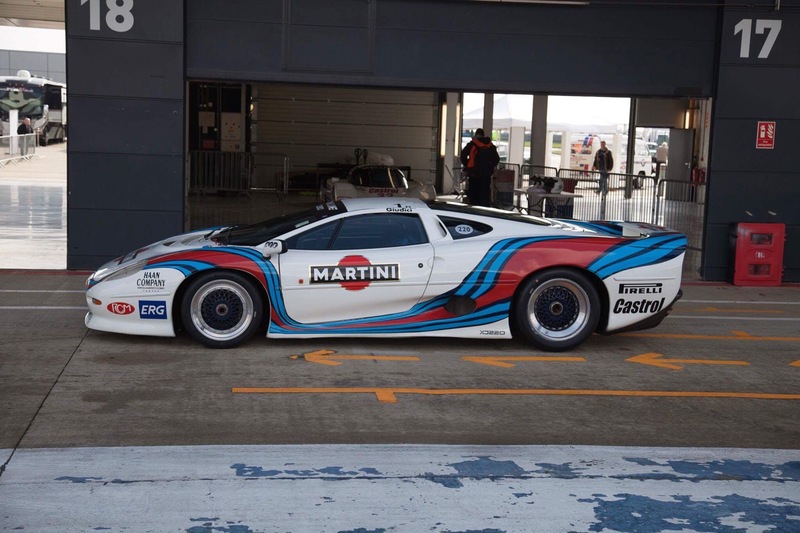 Law bought up the rear of the parade in the XJ220 powered van which was originally used as a test mule. 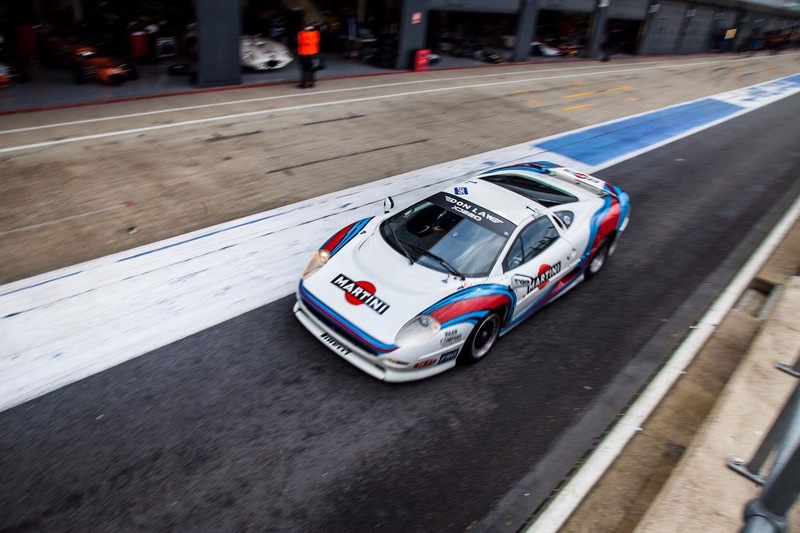 The 170 mph testbed was used to test the twin-turbo V6 engine and transmission in secret before adding it to the supercar. This never before seen spectacle was the brainchild of Don Law and the execution was breathtaking. Seeing all those magnificent motors all in one place was a feast for the senses. The engines purred as they warmed up before roaring around the corners and your eyes were astounded by the view of so many perfectl formed felines accelerating around the hallowed track with foolproof precision and sublime sensationalism. 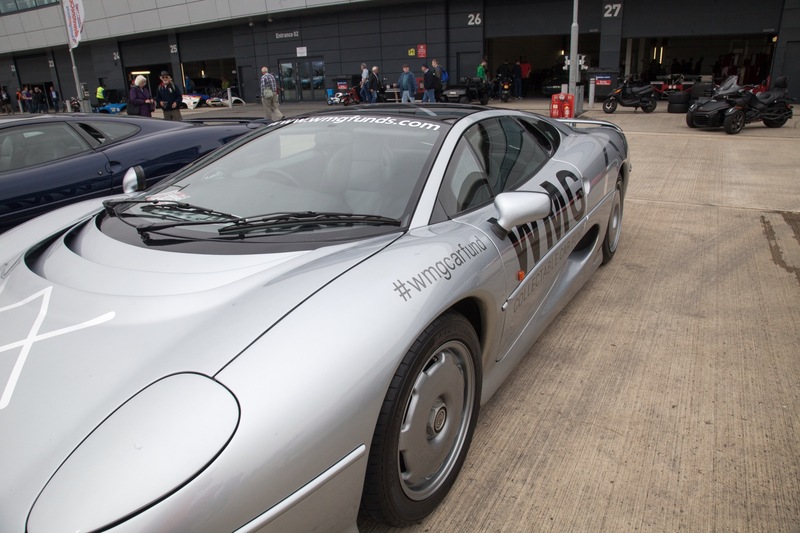 Check out all of Anglocreative’s XJ220 pictures in the gallery below.